In January 2017, VTEX and PagBrasil announced a strategic partnership that allowed VTEX merchants to start taking advantage of our easy to integrate online payment services. With the VTEX extension developed by PagBrasil, the merchant can integrate in an extremely simple way: he/she just needs to enter the credentials that we provide into the configuration panel within the VTEX e-commerce platform. The extension supports processing payments with credit cards and boleto bancário, including PagBrasil’s exclusive Boleto Flash®. This enhanced form of boleto bancário was developed by PagBrasil in response to two essential demands from shopkeepers: the need for quick payment confirmation and mobile adaptation through responsive design. To activate PagBrasil’s online payment methods in VTEX stores, first open a merchant account and sign an agreement with PagBrasil. Then simply access the VTEX panel and choose PagBrasil from the list of available modules for payment services. The activation will be completed instantaneously after inserting in the panel the credentials provided by PagBrasil. By integrating PagBrasil’s VTEX extension, merchants will benefit from our transparent checkout optimizing the payment flow for their customers. We also offer a number of optional services that enhance the payment solution and help to recover customers who didn’t complete a purchase transaction, such as the e-mail reminder service for unpaid boletos. In addition, VTEX storekeepers who wish to gain access to other payment methods that are unavailable in the extension can integrate these with our API. For recurring payments, the PagBrasil extension for VTEX can be configured to store the payment details of the first charge and thus trigger the following charges via API. 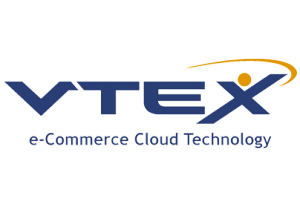 VTEX is an online platform for e-commerce and omnichannel that is present in 16 countries in Latin America, the United States, Canada and Europe. Its cloud infrastructure offers shopkeepers flexibility to integrate multiple technologies into a single platform. Thanks to the ease that VTEX platform offers to online stores, it is currently used by many well-known companies in the e-commerce environment.